Children aged 2 and under are FREE! In late July and early August we only accept bookings for a minimum of six nights. At Bank Holidays it’s a minimum stay of three nights. 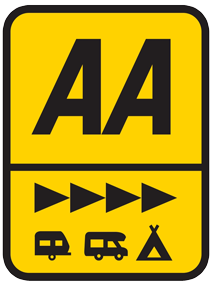 Book and pay in full by January 31st for your 2017 camping or touring holiday and get 10% off the overall price. To avoid disappointment, you are advised to book well ahead for bank holidays, July and August.